At Free Arts NYC their philosophy is: “There are no mistakes in art!” Free Arts NYC programs aren't about creating a masterpiece or becoming the world’s best artist. They’re about kids and families enjoying the process of expressing themselves creatively as they build resilience. Free Arts NYC provides underserved children and families with a unique combination of educational arts and mentoring programs that help them foster the self-confidence and resiliency needed to realize their fullest potential. 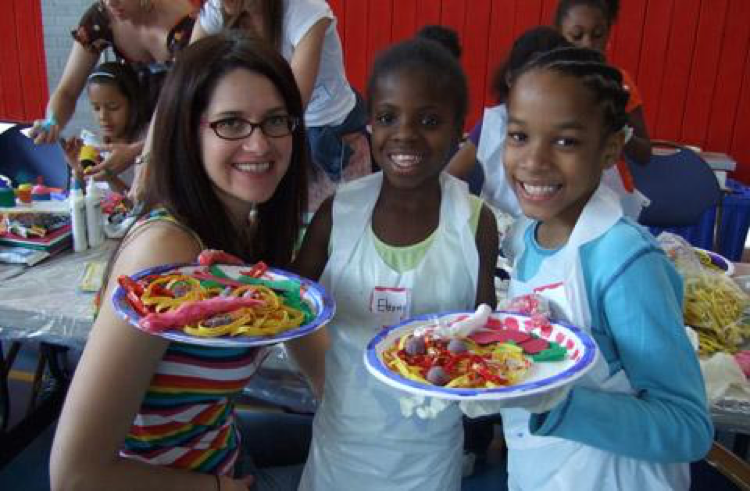 Since 1997, Free Arts NYC dedicated staff and volunteer mentors have provided over 30,000 low-income participants access to the art-making experience paired with positive adult role models. Free Arts NYC programs provide a supportive space in which children are encouraged to self-discover and take creative risks. The high quality of their programming is defined by focus on the human relationship as primary change agent. Over 2,000 volunteers serve annually to ensure that the mentor-to-child ratio never exceeds 1:3. Across schools, homeless shelters and social service agencies, 5 core arts education and mentoring programs are brought free of cost directly to participants. All programs focus on developing specific social, emotional and creative problem-solving skills that combat the intrinsic challenges found living below the poverty line.